Think you know enough about the planets in our vast solar system? We’ll be the judge of that. 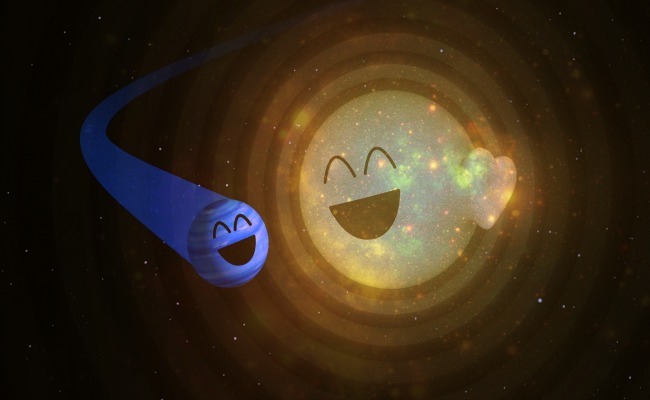 Take our fun planets quiz to see how much you remember from science class about the celestial bodies orbiting the sun. It takes about _____ Earth years for Saturn to orbit around our sun. Which planet is named after It is named after the Roman goddess of love and beauty? On Jupiter and Saturn, it rains _______. What country has a larger surface area than Pluto? Which planet has the tallest volcano in the solar system? The atmosphere of Saturn comprises mostly of Hydrogen and ______. The Earth is estimated to be _______ years old. Jupiter is the ______ planet in our solar system. Uranus contains _______, which creates a blue-green haze. There is no air or _______ on the surface of Mercury. Did you fall asleep in middle school science class? Yikes. Just kidding, like you ever need to know anything about planets. Looks like you're either good at guessing, or you know a thing or two about our solar system! Congrats either way; being good at guessing is a trait that will take you far in life. Holy Space Debris, Batman! You are very knowledgeable about our solar system! If you're not working for a space program, you should be. This quiz is basically the entry test to be an astronaut, so put in your notice at work and pack a sick bag- the endless cosmos is calling your name.